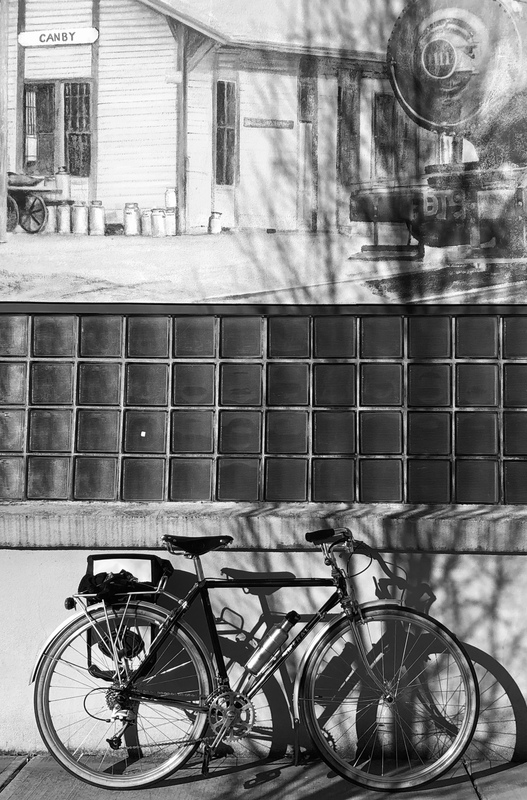 For the past several years, I have been drawn south to Canby from my Portland home base for winter cycling. 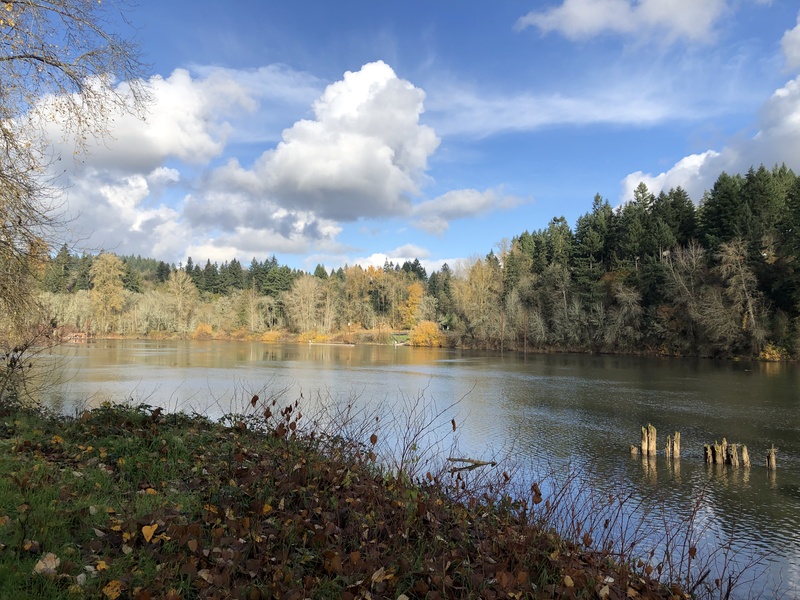 The Willamette River bends in a sharp s-curve at Canby before heading north toward its confluence with the mighty Columbia River. Its beauty calls to me. 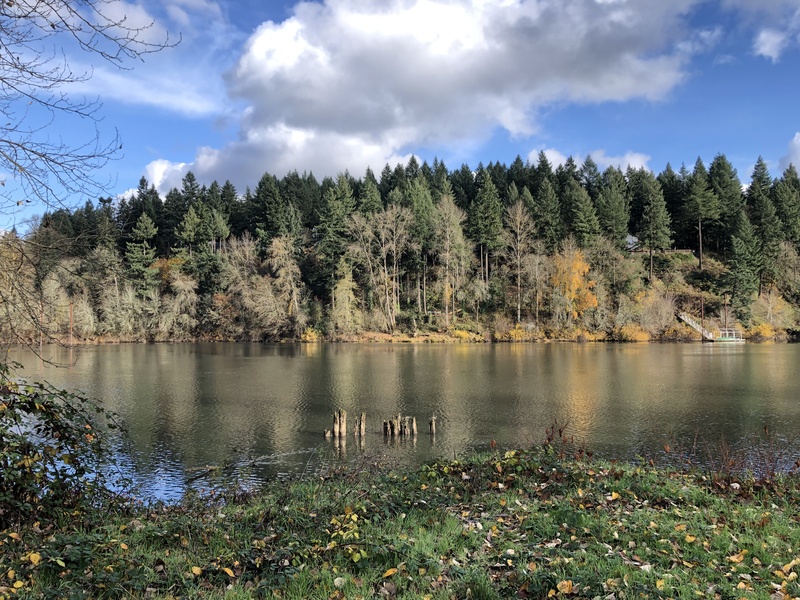 Fall colors, winter which promises spring, and the mesmerizing quiet of the ride offer a compelling contrast to cycling in Portland. Today, I followed this little town’s cycling loop, rather accidentally. I’ve ridden here a lot, and have ventured east of town up onto the plateau that sits above the river, and boasts the best of Oregon farm country – hazelnut groves, vegetable crops, and horses, cattle, sheep, and llamas a-plenty. 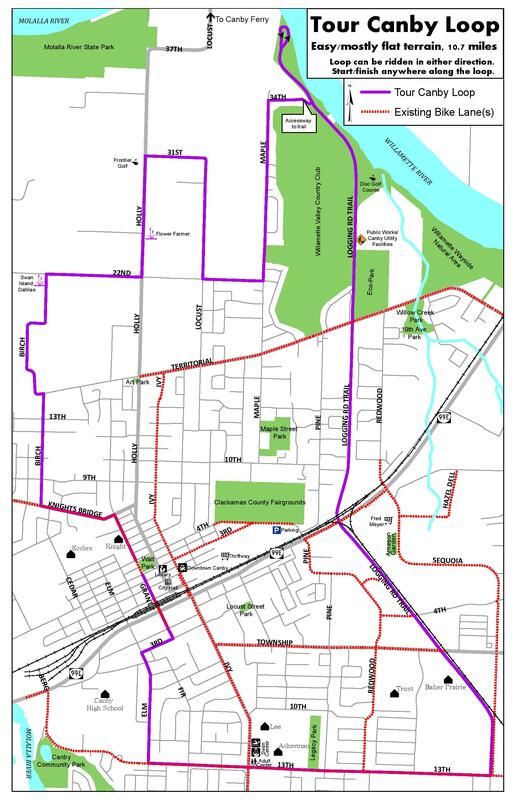 The basic route depicted above is a totally flat 11 mile loop. It’s easy to add side trips to your journey, as there’s lots to explore around this sweet little town. 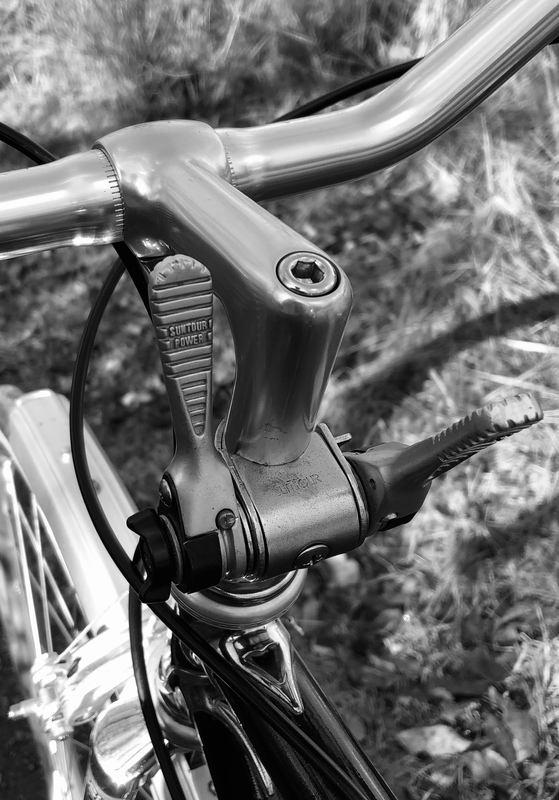 I’ve recently converted my 1980’s custom Meral 650b bicycle to more upright style handlebars. 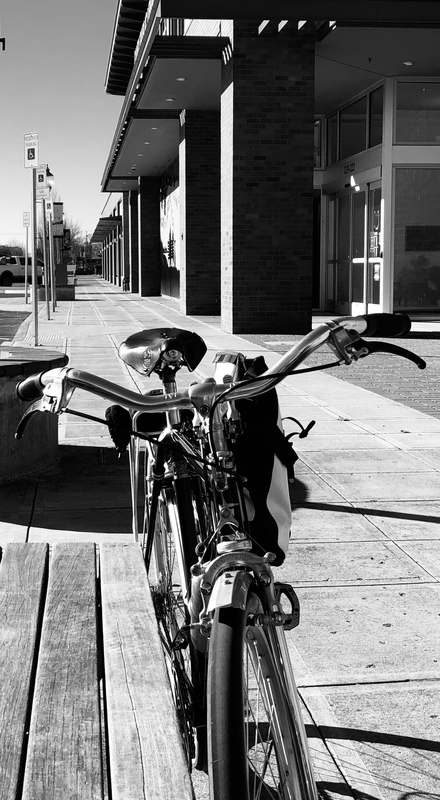 On today’s ride one of my goals was to evaluate the bike’s ergonomics with the new Velo-Orange Tourist handlebars. 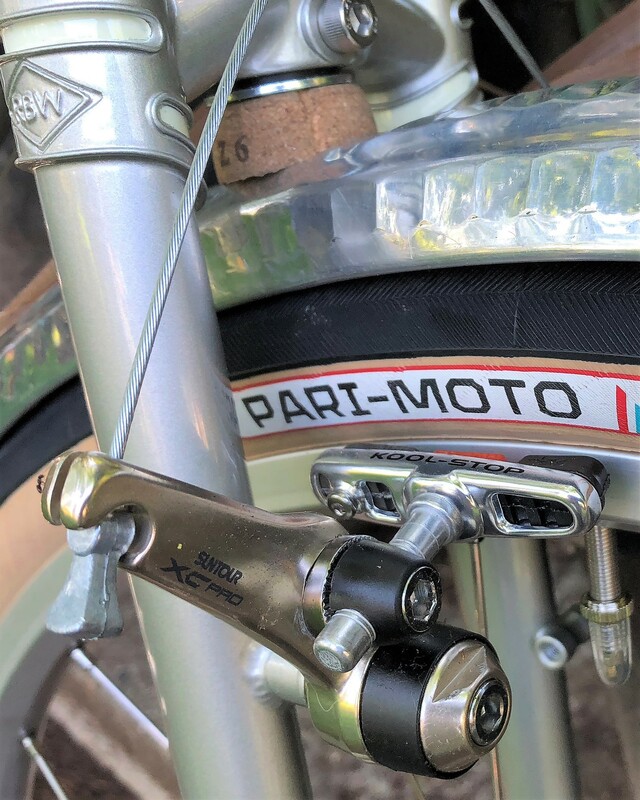 I wasn’t sure how to think about the brake levers for this bike – I wanted to stay true to its French heritage, and resisted purchasing new brake levers for the upright bar. 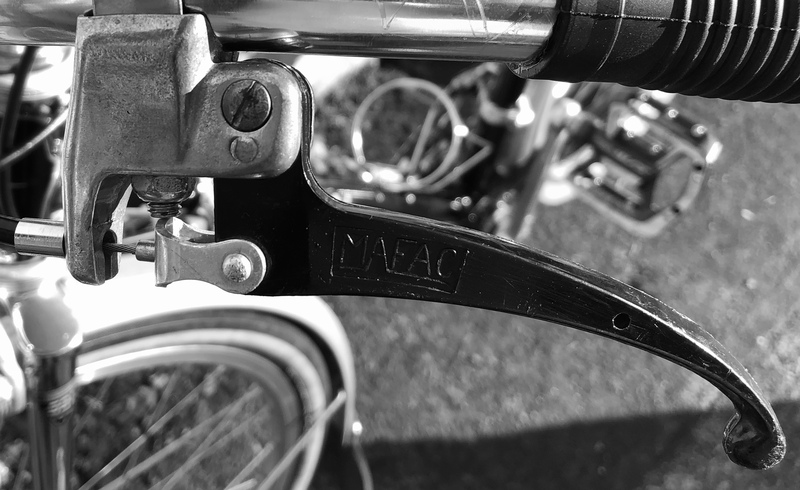 I finally settled on these black vintage Mafac levers. I also removed 3 cm of bar material from each bar end of the V-O tourist bars. 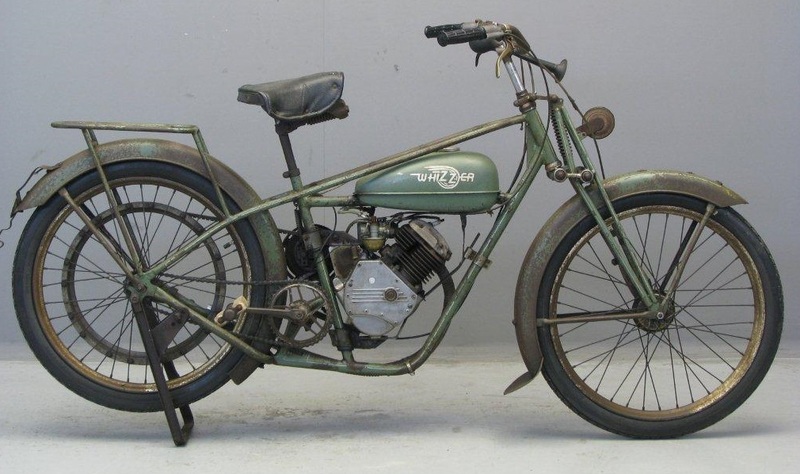 I have found that modern upright style bars are generally too wide and long, and without cutting them down can give your bike an out of balance appearance, not to mention being uncomfortable. To keep the bars free for additional hand positions I opted for stem mounted shifters. 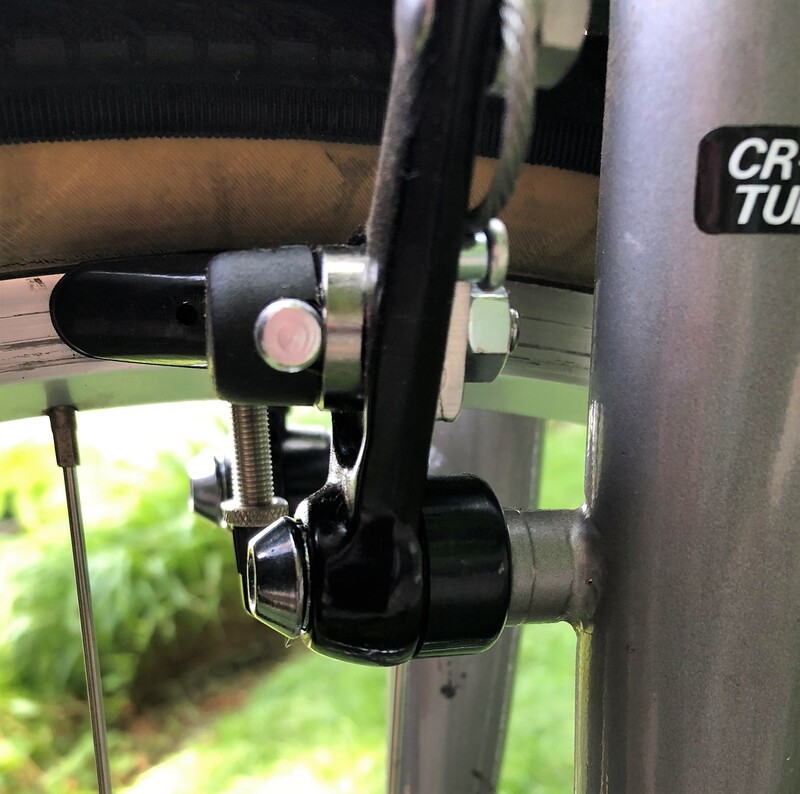 These SunTour ratcheting shifters performed just fine, but I did have to adjust the position of the rear derailleur on down-shifts, whereas upshifts were near perfect. I may replace these with some stem mounted Simplex Retrofriction shifters once I have a mounting option identified. 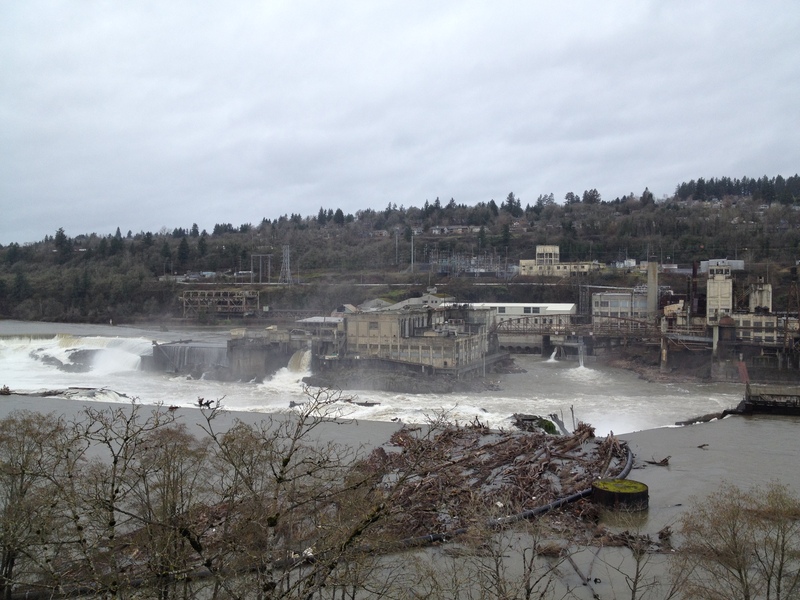 The City of Canby sits along the Willamette River, upstream from the falls and locks at the historic town of Oregon City. Today, the river was swift moving. Maybe, I was too. 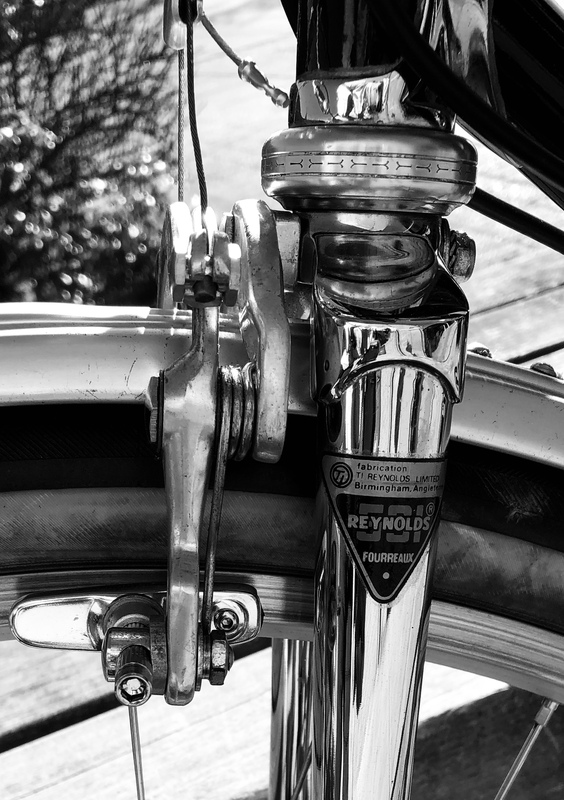 My 1980’s Meral is built with Reynolds 531 tubing, with a fully chromed fork (and with chromed main tubes underneath the dark lavender paint). That, plus converting the bike to 650b has made it one of my most treasured bicycles. 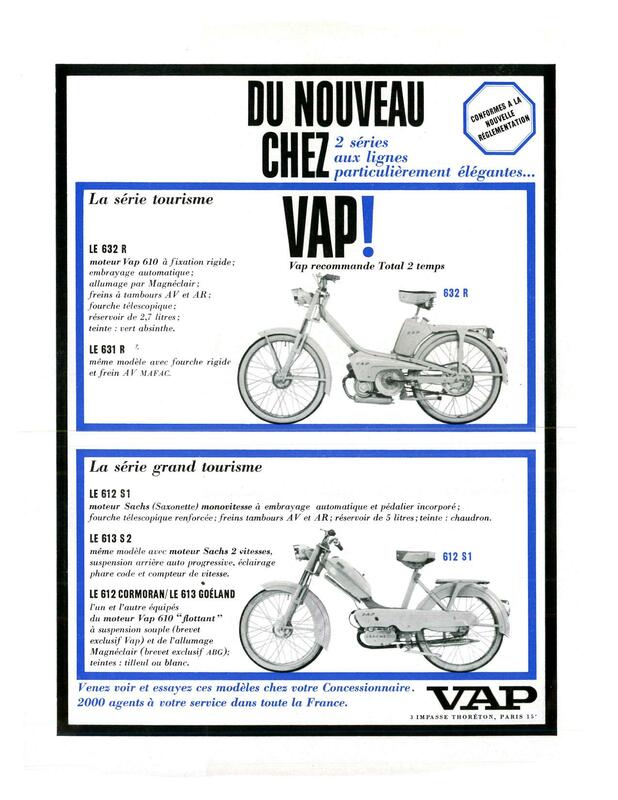 Happy riding in 2019! 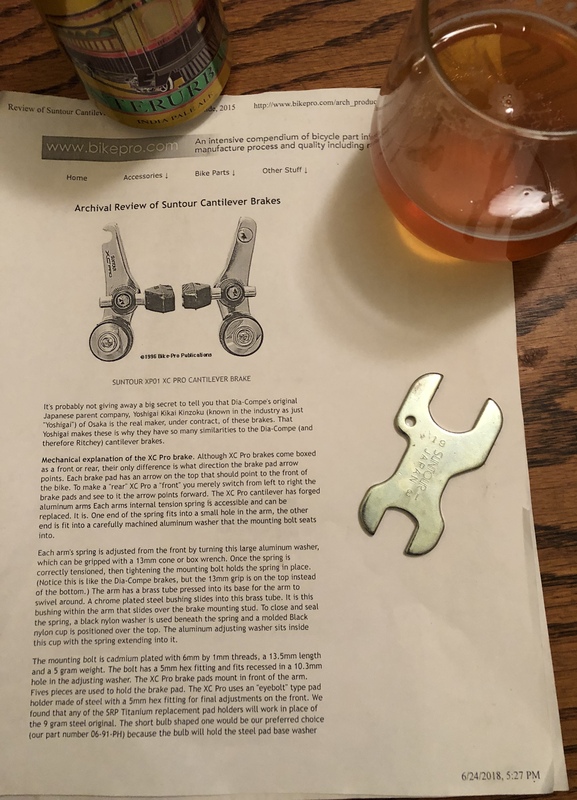 Having recently set up two different versions of early 1990’s SunTour cantilevers, I thought it would be helpful to share my insights while they are still fresh in my mind. While each of these cantilever models is called by the same model name, they could not be more different. 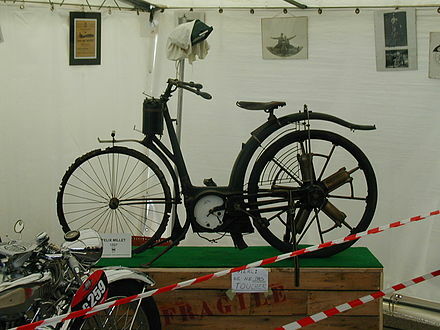 The champagne finish model pictured second has its adjusting springs and washers on top of each caliper, whereas the black finish model pictured first has only one caliper with an adjusting nut that sits below the caliper arm, but with two holes in the other caliper arm for additional spring tension adjustment. 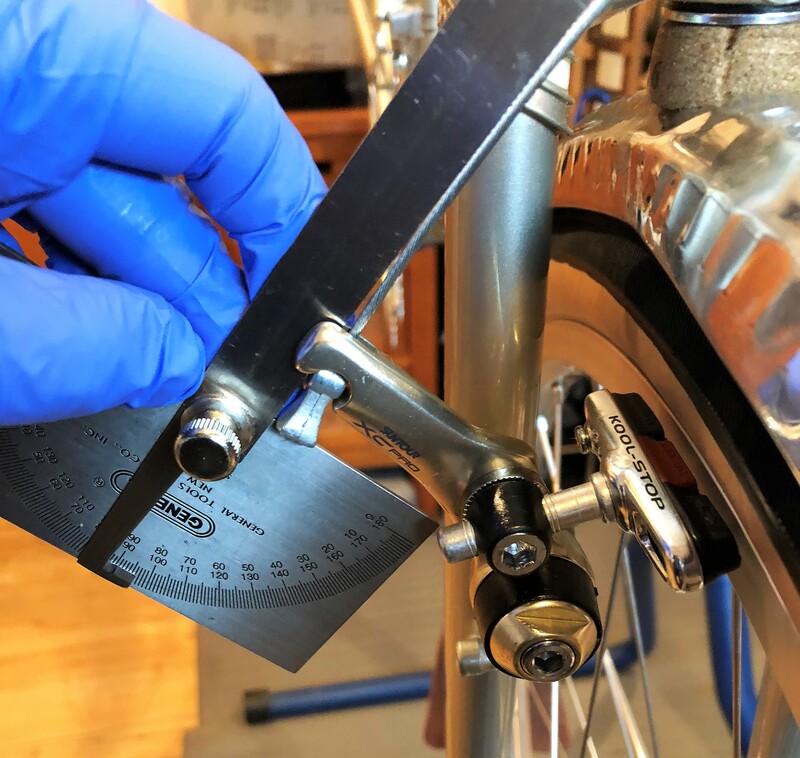 The champagne finish model was more difficult to set up, which was counter-intuitive, given that each caliper arm could be dialed in for separate spring tension. The above photo shows one caliper arm of the dual spring model disassembled. SunTour provided a special cone wrench with each new XC-Pro Champagne finish brake set model sold (perhaps as a warning). 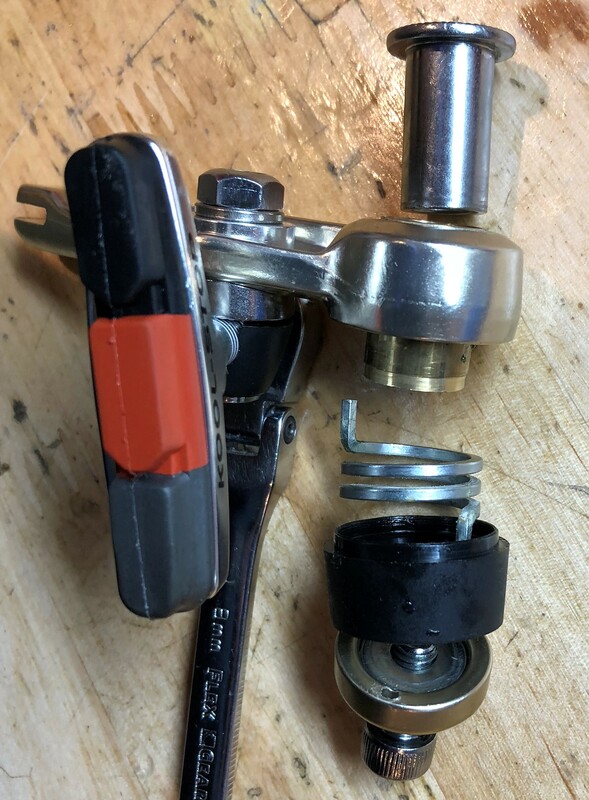 If you want a completely accurate engineering description of these brake calipers, you’ll find that at BikePro’s archived articles. 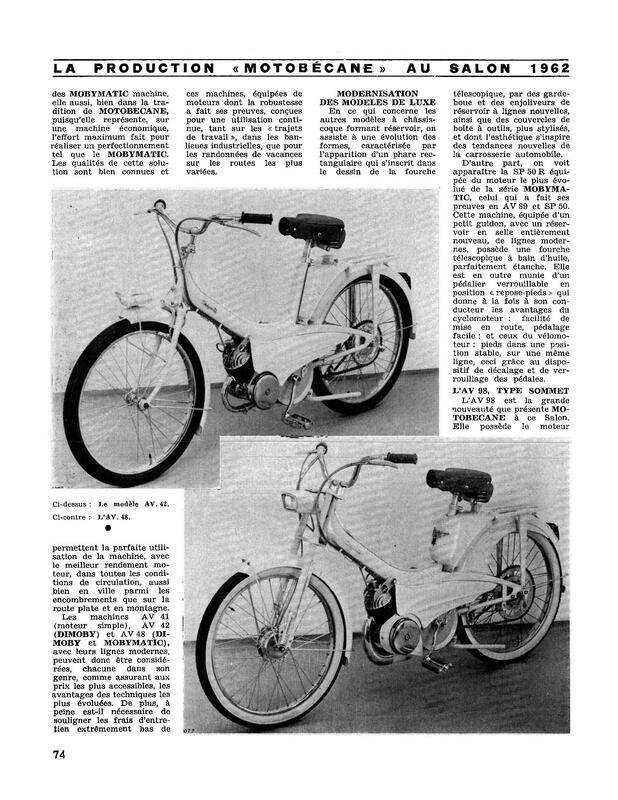 However, online guidance as to the particulars of setting up these brake arms is limited to the Sheldon Brown site, with its repellent advertising. So, I consulted my print materials including my collection vintage mechanic’s manuals. Oddly, the only really helpful print resource was Park Tools’ manual, which is also available online. Fortunately, both NOS brakesets I was installing included the manufacturer’s instructions. The dual spring adjustment champagne model, which was part of my Rivendell Appaloosa build, was my first attempt at setting these up. The instructions include a helpful cutout to measure your straddle cable angle. These dual spring XC-Pro brakes want a 90 degree angle. I got pretty close to that, and called it good. 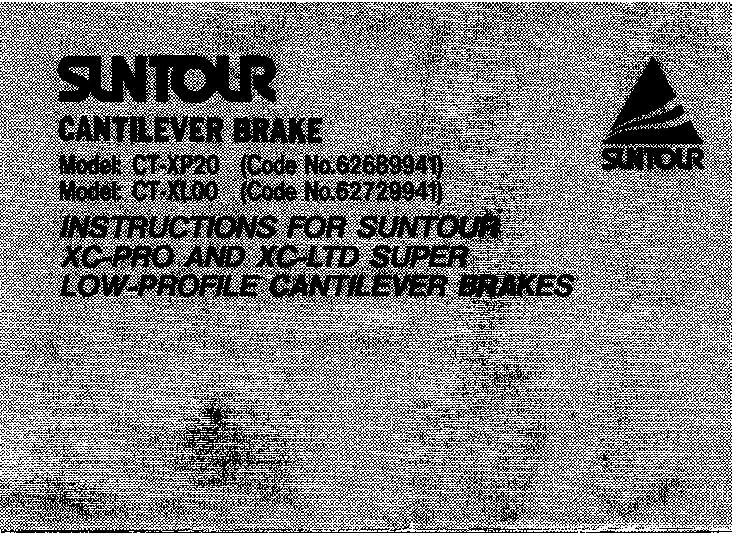 But, most illuminating about SunTour’s instructions for these cantilevers is the sequence of the steps, which doesn’t match my protocol about setting up brakes. 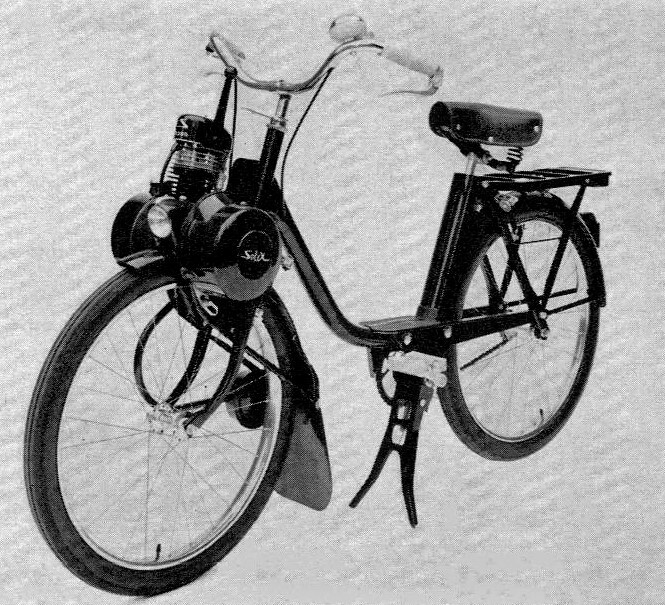 SunTour advises positioning the brake shoes first, which in my experience is the very last step in any brake set-up. 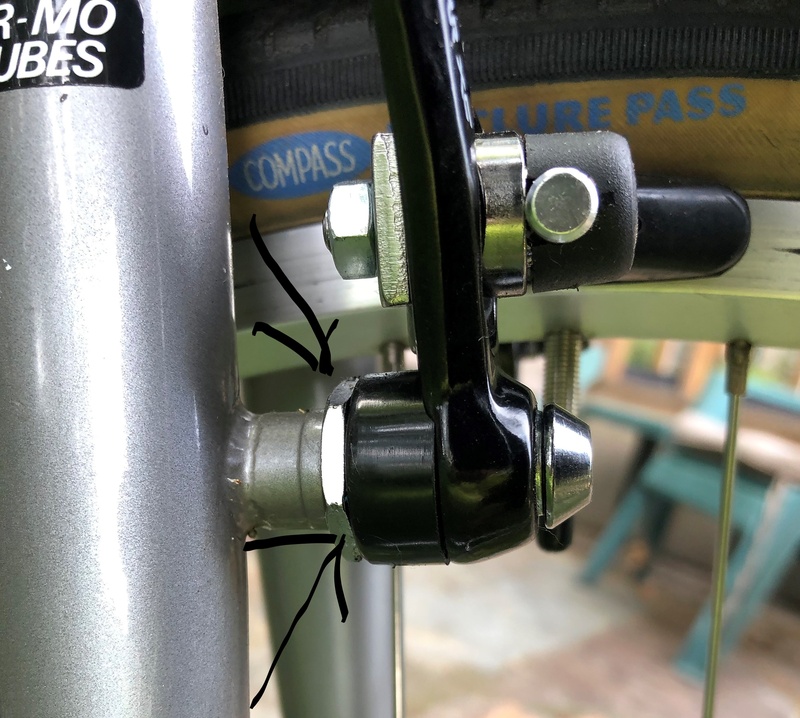 After that, SunTour advises how to install the straddle cable (very low) so that the cable angle is correct (90 degrees) and so that the brake pads sit very close to the rim. Then comes the spring tension adjustment. 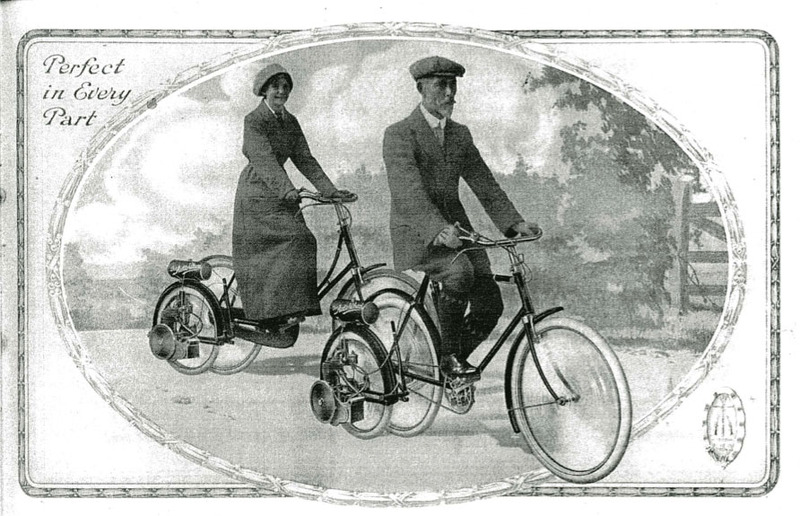 Let’s just say that things did not go as planned when I initially set up these brakes on my Rivendell Appaloosa. But, after some trial and error I finally arrived at the right spring tension adjustment, and the brakes are now performing well. Only one arm has a spring tension nut. Meanwhile, I set up a later version of these cantilevers on my Bridgestone MB3. 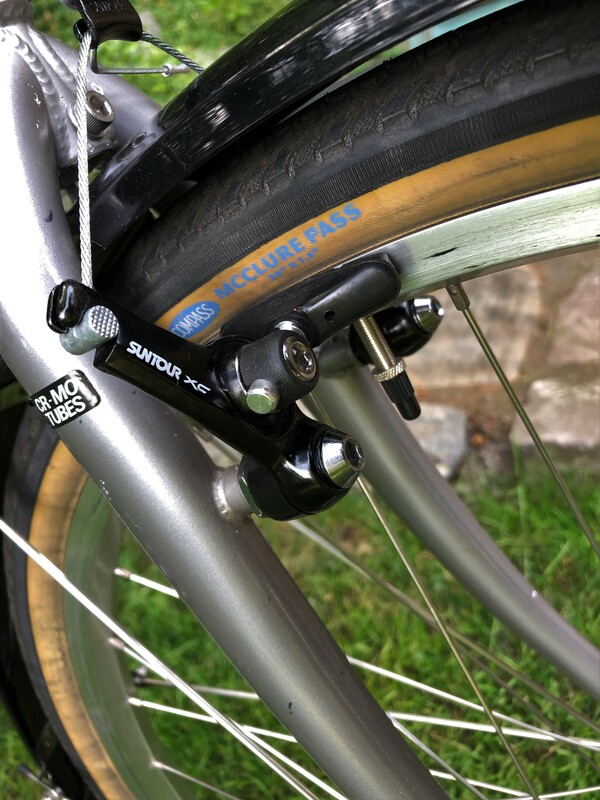 This XC-Pro model has its spring tension adjustment on only one arm, adjusted with a 19mm wrench from behind the brake arm. 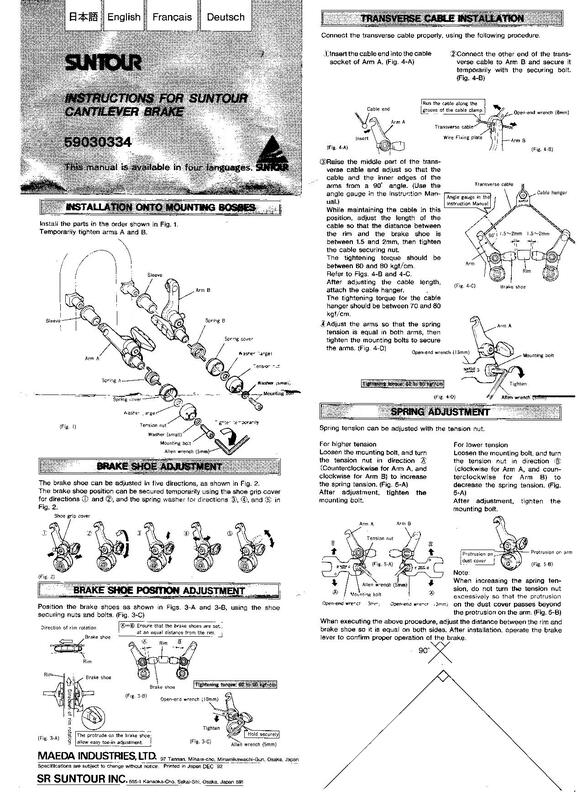 Above are scans of the single adjusting nut model of SunTour’s XC-Pro cantilever instructions. 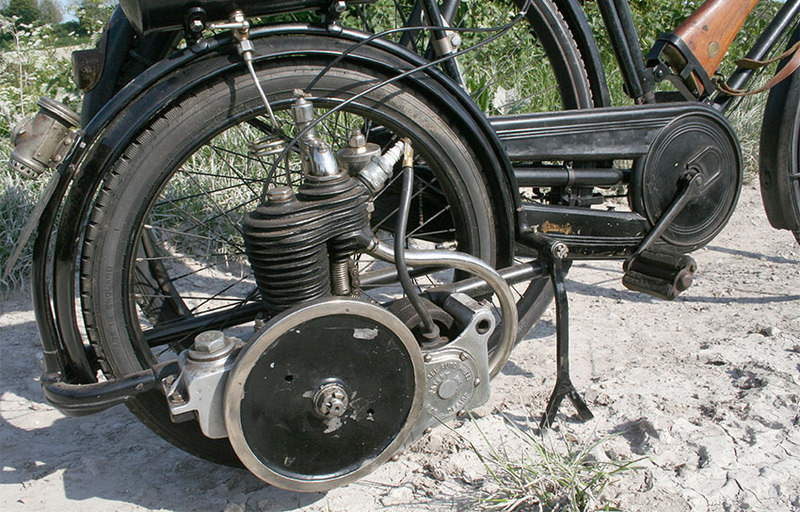 This model uses a spring adjustment nut (19 mm) on one arm, and which sits underneath the brake arm. 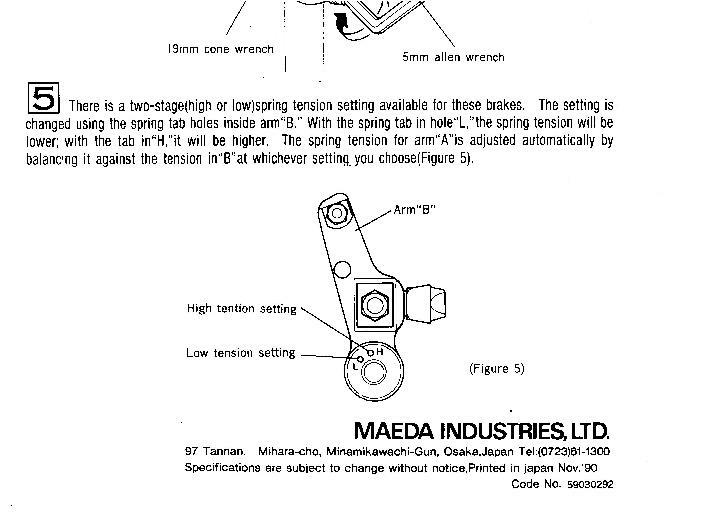 These brakes allow for changing the spring tension by moving the spring from a low tension to high tension setting on the other brake arm, as shown in the scans above. Setting up these single spring adjustment brakes ended up being less time consuming than their dual adjusting nut siblings. The adjustment nut is only useful for centering the brake shoes, with spring tension controlled on the other arm with the hi-low setting. This model calls for a 96 degree straddle cable angle. 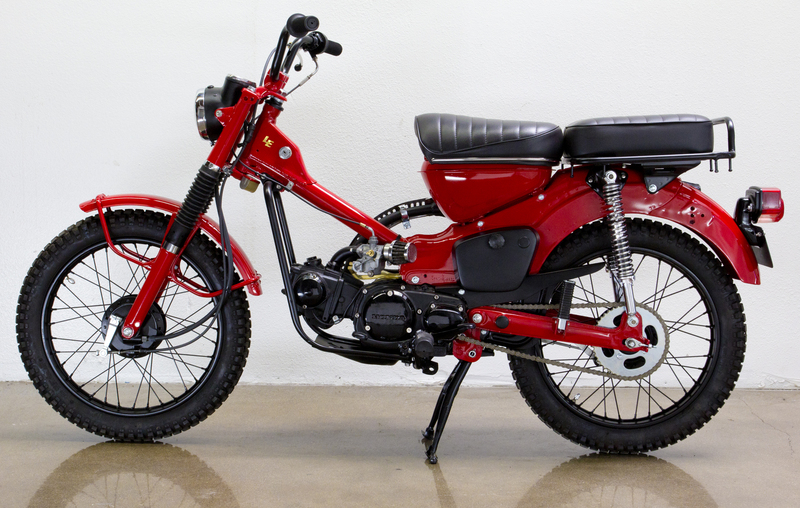 I didn’t quite achieve that with the setup on my 1989 Bridgestone, but they are still working fine with a slightly lesser angle. I used the NOS SunTour brakepads (aka “bricks”) on the Bridgestone, after filing some material off their surface. Even though not well regarded as brake pads, they are working nicely, and have not squealed (yet). Older vintage cantilevers do not have spring tension adjustment. 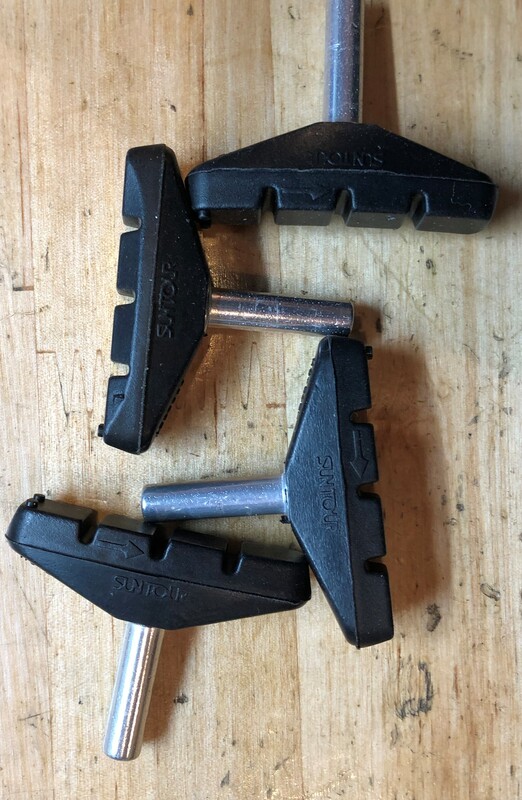 So, if you needed to change the tension to improve brake performance you needed a 3 hole cantilever boss, or you needed to “strong arm” the spring to change its tension. While that’s where newer cantilevers can offer improved braking performance, setting up these cantilevers correctly is another thing altogether.